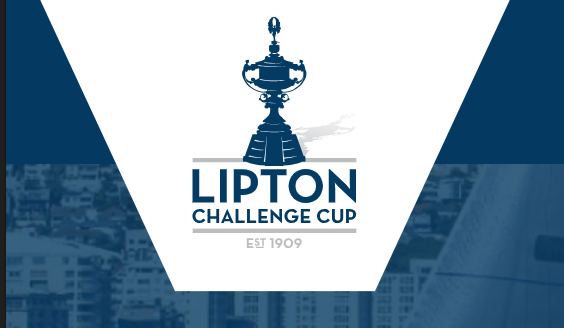 The Royal Natal Yacht Club has a long history of competing in the annual Lipton Challenge Cup which is considered to be the premier yacht racing event in South Africa. Members will be proud to learn that we are the challenger of record for the 2019 contest and we are please to share the following statement from the Trustees of the Lipton Club (below). A “Battle Royal” is on the cards! The opening salvo has been fired in the annual contest for the Lipton Challenge Cup, one of SA’s oldest sporting trophies. In a letter yesterday to Royal Cape Yacht Club, current holders of the Cup, the Royal Natal Yacht Club’s Commodore Graham Rose formally issued the challenge. It was promptly accepted this morning by Royal Cape’s Commodore Vitor Medina, so it’s game on between the two long-standing rival clubs. Both Royal Natal and Royal Cape were recognised in the original Lipton Deed of Gift signed 110 years ago. Although a single challenge is all that’s needed to trigger the holding club’s obligation (in terms of the Deed of Gift) to defend the Cup, there are likely to be at least 10 other clubs equally determined to wrest it from RCYC. Royal Natal’s team, led by Ellian Perch and skippered by America’s Cup veteran Mark Sadler, are no strangers to the Lipton Challenge and have represented their club in some epic battles for the Lipton Cup in the past. Nobody is underestimating the strength of their challenge. The building of their new Cape 31 is already under way, and they will show their hand in this high-performance class for the first time when they race a chartered boat in the Cape 31 International Invitational Regatta in February. This entry was posted in Club, Sailing. Bookmark the permalink. Both comments and trackbacks are currently closed.